LitWorld's innovative LitCamps and community lending libraries take bold action to combat the summer slide by filling these months with joyful and meaningful learning opportunities. We are a proud supporter of the Scholastic Summer Reading Challenge and are overjoyed to announce a generous act of reading kindness. Scholastic is donating 200 books to the LitWorld Parent Appreciation Night at the Children's Village Community Center at the Polo Grounds in Harlem, New York. The books donated will be going directly to the parents, guardians and children who attend the Polo Grounds Community Center, a vibrant place of learning and recreation. Thank you, Scholastic! 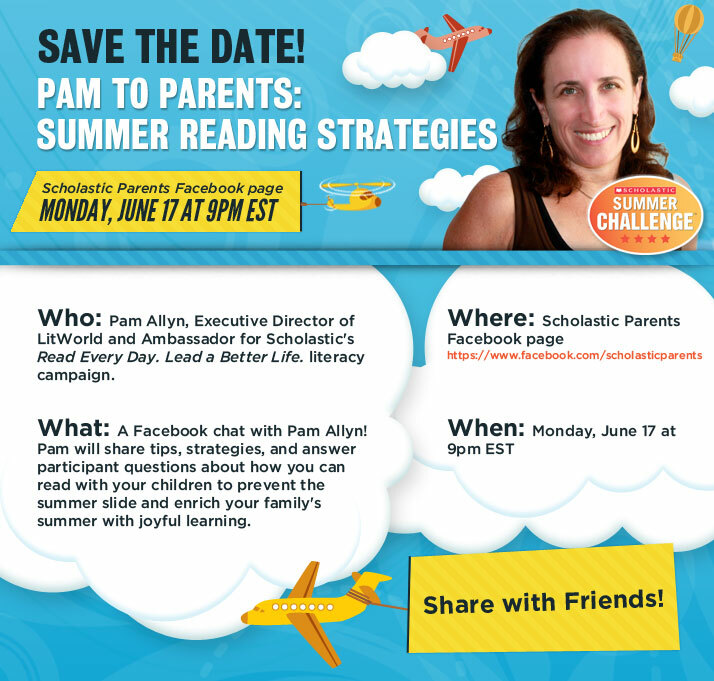 Older PostRead Pam Allyn's Tips for Summer Reading & Take the Scholastic Summer Reading Challenge!